Make printing easy with the PIXMA G series. High quality performance, low cost prints. 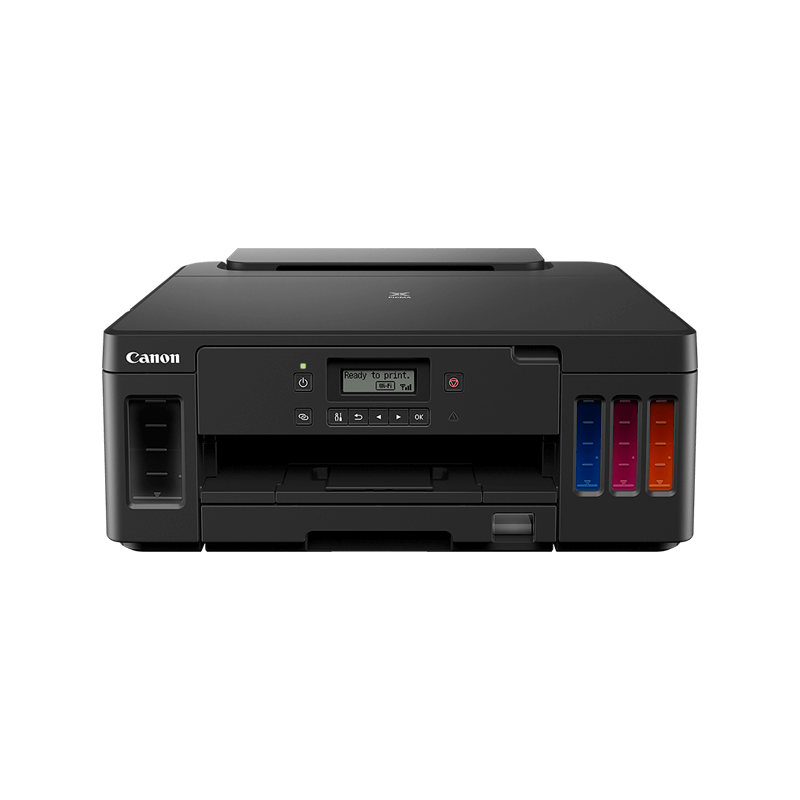 Experience highly productive, low cost printing with this compact, cloud-ready Wi-Fi 4-In-One. Boost productivity and enjoy low cost printing from smart devices and the cloud with this Wi-Fi All-In-One. Print, copy and scan in high quality using this low cost, refillable multifunctional with high page yields. Save with simple low cost printing and vivid photos up to A4 and sharp documents using this refillable printer. Get more for less. Introducing the latest in convenient and affordable home printing. Multifunctional document and photo printer with WiFi and cloud functions. Ideal for home or office use. Ultra-efficient, 3-in-1 model offering superb image quality and cost effective printing. Compact and reliable, single function photo and document printer. Perfect for high volume printing. With its sleek design and versatile features, the Canon G series offers economic and affordable printing – in any environment. Care free, high volume printing in your home. 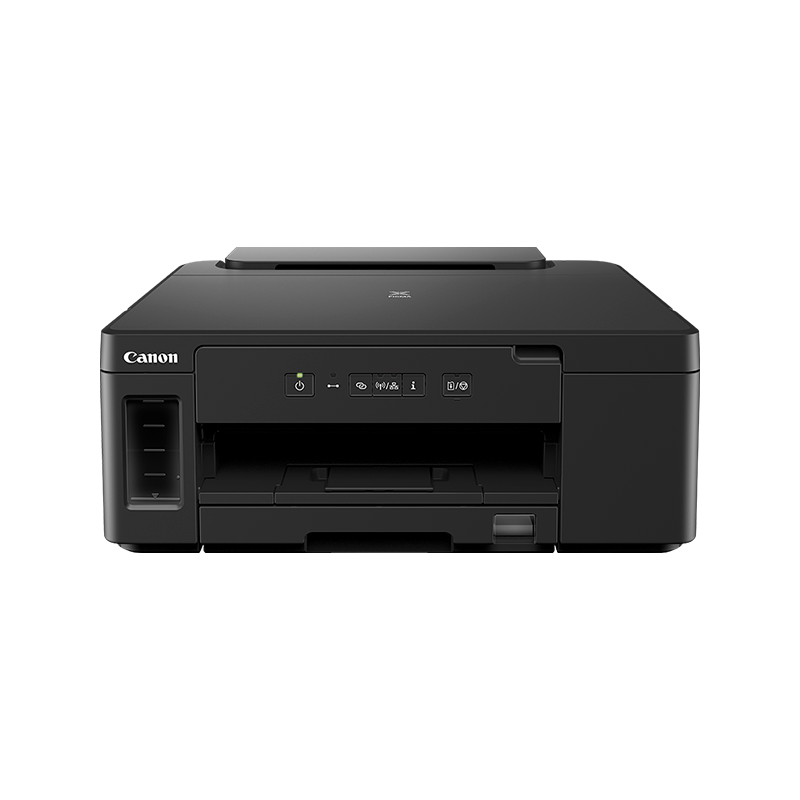 Canon’s refillable ink printers are ideal for family use, with easy setup and refill, and the ability to print both documents and photos. Perfect for a small or home office. The PIXMA G series lets you be more productive with extremely high page yields - without the hassle of changing inks often. Reliable, high volume printing - helping students meet deadlines, whilst keeping running costs low. The perfect business companion for retailers - letting you print whatever you need to keep your business running. Canon assures quality with its genuine pigment Black and Colour dye inks, developed to work with the PIXMA G Series to deliver outstanding high yield. Colour: 7,000 pages. Black: 6,000 pages*. Front-facing integrated ink tanks make it easy to keep track of ink levels. Ink is refilled smoothly and quickly using the optimised refill system and easy one-step ink/bottle handling. Our high quality dye based colour inks guarantee smooth and natural photos which allows you to enjoy printing borderless 4x6” photos in approximately 60 seconds. Space saving, compact design that sits neatly within your home or office without compromising outstanding quality results, every time. Crisp sharp text and smooth vibrant images every time using high quality pigment black ink and dye based colours. Continuous Ink Supply System. Lower cost per page. High quality pigment black ink and dye based colours. Compact and sleek design for full integration into a home or office environment. Looking for a different printer? Explore our range of printers and print accessories.